As you can guess, I said “yes” to the Lord, and “no” to my fears and father’s expectations. After taking stock of my belongings, I realized I only had enough money to support my pregnant wife, three kids, and myself for six weeks. I was overwhelmed by the reality. But if you feel strongly enough about anything and are prepared to trust God completely, you will find a way to accomplish it. Thus was born an overwhelming urgency to build our support team. But first, I had to overcome my mindset that asking for support was simply disguised begging that resulted only in underfunded Christian workers who, to me, seemed like impoverished nomads. After seeking out what Scripture said, I realized support raising was an honorable thing — a biblical calling to invite and involve others in the expansion of the kingdom of God. 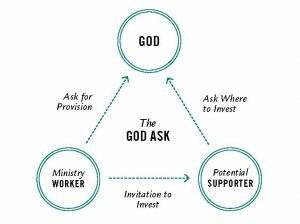 Many of the doubts and fears I had associated with support raising were relieved when I stopped thinking of it as the “Steve Ask” and started thinking of it as the “God Ask,” a perspective originally shared with me by Tom Stickney, a missionary in Kenya. He helped me to realize that in support raising, our job is only to be faithful to the Ask. The responsibility of procuring the funds lies with God. In every Ask, there are three persons present: you, your potential supporter, and God. Instead of thinking of the Ask horizontally — you to supporter — think vertically. Our calling and all resources belong to God. Your job as a support raiser is to ask God for provision and trust that where God guides, He’ll provide. 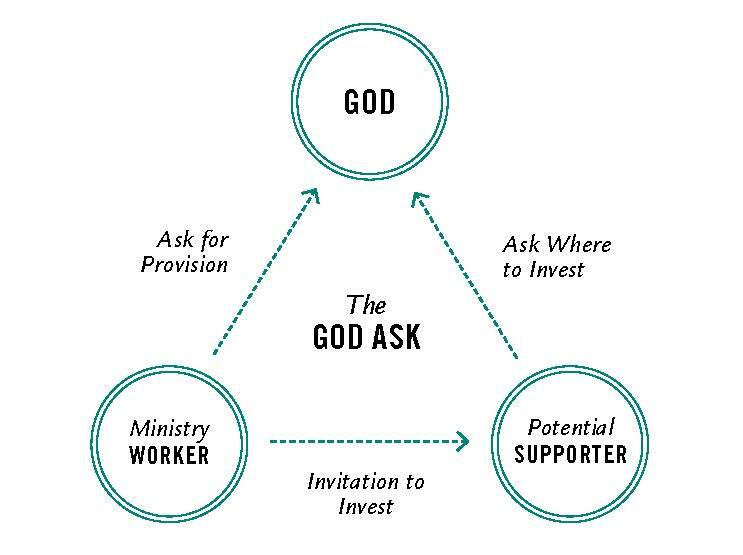 After talking to God, invite potential donors to seek His guidance on where to invest. There’s no reason to feel rejected if the person does not give, because the process is never about you asking for money. It is about God’s sovereign will and allocation of funds to support His ministry plans. The Lord is fully capable of providing what you need, when you need it. You might be praying about the best way to fund your ministry. Should you be a “tentmaker” and work a job while ministering? Or should you raise personal support? Both are biblical, but if you’re going to raise support, you’ll probably have some doubts, fears, and questions. Despite the stresses and pressures involved in maintaining a personal support team, I would not want to live any other way! The bonds I’ve formed over the years with our supporters are priceless. The stories of God building my faith during difficult times could fill a book. And, most of all, when I report to that ministry assignment fully funded, there’s a sense of destiny and authority there. The following are fi ve essential keys to begin building your support team. With a little prayer and education, you’ll be prepared to answer your calling, no matter what that process looks like. The example of the Levites (Numbers 18:24) The Jews gave their tithe to the priests for support. The example of Jesus (Luke 8:2-3) Many people supported Jesus and the disciples. The teaching of Jesus (Matthew 10:9-10) A kingdom worker is worthy of his support. The example of Paul (Acts 18:4-5) He stopped tentmaking to preach full-time on support. The teaching of Paul (1 Corinthians 9:1-18) He had the right to be supported by the churches. When you have a full understanding of God’s provision for Christian workers, it’s much easier to rely on Him for support. Remember, we are simply stewards of His resources. As you move forward in raising support, simply ask each potential supporter to seek the Lord’s guidance in whether they should invest those resources in your ministry. Once you have a biblical perspective on the topic of asking for and living on the support of others, you need to evaluate one more thing — your own giving! Before you can ask anyone else to give, you have to be committed to sacrificially investing in kingdom work on a regular basis. Let’s practice what we preach. You or your family might think support raising is really just begging. You might not believe you’re a worthy investment. You might view support raising as a necessary evil that must be endured. You might feel people are rejecting you or your ministry if they say no. You must kill these giants one at a time as you fi ll your mind with Scripture. Just as God prepared the land for the Israelites, you need to believe that God has prepared the hearts of your potential donors. Believe what God has said about you and your calling and walk boldly in faith as you ask others to invest in you and your vision. Trust that God will lead you to those He has called to financially support your ministry. AFTER COMMITTING TO GOD ASK, IF THERE ARE SEVERAL STEPS YOU CAN TAKE TO start planning the work. Author S.D. Gordon said it well, “Prayer is the real work of the ministry. Service is just gathering in the results of prayer.” We need to bathe ourselves and our donors in prayer before, during, and after our support raising journey. God will go before you. He will also build a love for your donors as you pray for them individually. Include everything you need to thrive in ministry – your personal needs, giving, savings, and ministry expenses. Seek to balance a lifestyle that will allow you to maximize your effectiveness with the group you’re reaching, but also be above reproach with your donors on the stewardship of your finances. If you have school debt, simply include the required monthly amount owed and keep going. Your donors will admire you for keeping your promise to pay it back. Plan on and commit to raising at least 100% of your budget before you even report to your assignment. Have a “When I Raise My Support” attitude, not an “If I Raise My Support” attitude. Now that you have turned the whole process over to God, you are ready to begin your planning. Write down every person you have ever known during your lifetime. Pray that God would bring people to mind. Don’t play Holy Spirit by saying, “Oh, that person would never give.” You’ll be surprised by a few that will give and by a few that don’t! Also, think of people who have a heart for student work, missions, or whatever group or area you are targeting. List churches, Sunday school classes, foundations, and corporations you are acquainted with. The bulk of your support, though, will come from the individuals with whom you’ve met over the years. Divide up all the names according to the cities they live in. Evaluate your list and rate your prospects as “hot,” “medium,” or “cold” based upon your perception of how likely they are to give. Remember that you should not pre-judge if they will give, but it is okay to prioritize who you will speak to sooner rather than later. Next, pray and seek God as to how much (or a range) He would have you ask each donor to consider giving. Don’t use a one-size-fi ts-all plan; instead, base the amount on what you perceive they are able and willing to give, along with the kind of relationship you have with them. Either way, know that the tendency for most support raisers is to ask for too little rather than too much. Suggesting a range gives your donor options and helps them see there is fl exibility in your request. Remember, there is no cash fl ow problem in heaven. Americans give billions of dollars to charity each year. I believe God has instilled in every person a desire to give and you are simply helping them to invest in eternal things, and thus build up their treasure in heaven. Figure out which cities you will travel to and when. 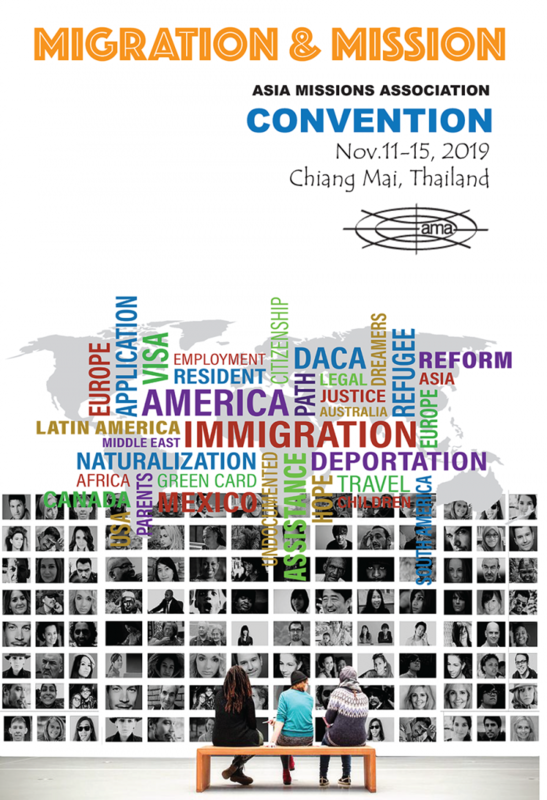 Schedule it on your calendar. Send a letter or email in advance briefly explaining your vision and that you will soon be calling. It’s important to call each person in advance of the trip in order to verify the appointment. During the call, don’t let them say yes or no to giving — your only objective is to get an appointment with them. There are six great opportunities during the day for meetings: 1) breakfast near someone’s workplace, 2) mid-morning, 3) lunch, 4) mid-afternoon for professionals or stay-at-home moms who can take a break to meet with you, 5) dinner, and 6) after dinner, which is sometimes good for parents with young kids or people who stay up late. THIS IS THE KEY. JAMES 4:2 SAYS, “WE HAVE NOT BECAUSE WE ASK NOT.” The word ask is used in the gospels 113 times. God wants to teach us about asking Him and asking others. I have looked at surveys as to why people give and the number one reason is always because someone asked them. It’s not unspiritual or fl eshly to ask. It is good, biblical, and faith-building to ask. Let’s not hide behind our fears. Let’s walk toward them and render them powerless! The worst thing anyone can say is, “No.” And if they do, it’s between them and God. If instead you choose to cut corners, take the quick, easy route and just send out a financial request letter or email or make a group presentation, you might have a 10% response rate. If you send a letter/email followed by a phone call asking for support, you might get 25% of people to say yes. But, if you are willing to sit down eyeball-to-eyeball with others and lay out the incredible ministry vision God has called you to, usually more than 50% of your potential supporters will join you as ministry partners! This approach takes time, money, and courage, but it communicates to the donor that they, and your vision, are so important to you that you are willing to go above and beyond normal fundraising methods. Don’t be fooled. How you go about securing their commitment will determine the amount, consistency, and longevity of their giving. My research shows that ministries that train their staff to ask for the gift in person raise their full budget in half the time of groups who simply share the need, but don’t ask. We have not because we ask not. Sound familiar? DON’T THINK OF THIS JOURNEY AS FUNDRAISING, BUT AS FRIEND-RAISING. Not as support raising, but as supporter raising! You can have an incredible ministry in their lives. And you might be their only connection to Jesus Christ or the Great Commission when you are faithful to God’s call to ask. There are several ways to ensure a long and fruitful relationship with your supporters. Consider tithing your ministry time to your support team: pray for, write to, call, and minister to your supporters. Thank before you bank. When a new person or gift comes in, be prompt in sending them a handwritten thank you note or phone call. Regularly send well-written newsletters, both email and, at least a few times a year, in print. Share how the investments of your supporters are paying off, along with some specific prayer requests. Occasional postcards, phone calls, and visits are great too. While you may share some about your personal life or family, 75% of the focus should be on ministry efforts that cast vision and show God’s fruit, as that is what they are investing in. Beware: The main reason people drop off of support teams is due to a lack of communication from their missionary. Win, keep, and lift. When you win a supporter, they are now on your team. Keep them on the team by caring for and cultivating them. Periodically, ask them to prayerfully consider lifting (increasing) their monthly or annual gift to you. Years ago, Campus Crusade had a campaign asking people to give 1 million dollars to their ministry. Almost 250 people said yes. Research showed, though, that the average fi first gift of these donors had been a mere $10! Their devotion to this ministry was because someone took the time to win, keep, and lift them over the years. People will stick with you for life if you will appreciate them and keep them informed. View them as vital partners in your ministry and you will gain not only lifelong supporters, but friends, too. One day you will turn around and realize how blessed you have been and that you, too, would not want to live any other way. Trust God and begin this exciting adventure today. You will never regret it!